Starting the Conversation: How Does Article 9 of the Convention on the Rights of Persons with Disabilities Impact Tourism? Accessibility is fundamental to the concept of disability and the daily lives of people with disabilities. This primer examines the relevance of accessibility to the human rights of people with disabilities, and addresses how accessibility is incorporated into the Convention on the Rights of Persons with Disabilities (CRPD). What is the concept of accessibility and how is it relevant to the human rights of people with disabilities? Any discussion of the human rights of people with disabilities must necessarily include the concept of accessibility, for no one can fully enjoy a human right to which they do not have access. Yet people with disabilities face countless barriers that render the realization of their human rights inaccessible. Indeed, these barriers are an integral component of the concept of "disability." 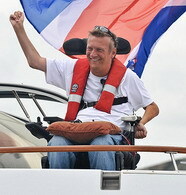 As noted in the Preamble of the CRPD: (e) Recognizing that disability is an evolving concept and that disability results from the interaction between persons with impairments and attitudinal and environmental barriers that hinders their full and effective participation in society on an equal basis with others. 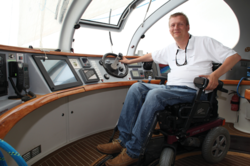 How is accessibility addressed in the CRPD? It is the removal and avoidance of barriers that is central to the "social model" of disability, which focuses on adapting the environment and society to the individual, rather than forcing people with impairments to conform to society's notions of 'normalcy.' This model in turn is reflected throughout the CRPD in its principles of accessibility, inherent dignity, individual autonomy and independence of people with disabilities. Article 9 - which discusses accessibility in more detail. These two references mean that accessibility must be considered in the interpretation and implementation of all the rights elaborated in the CRPD. The provisions of Article 9 specify the types of measures to be undertaken to ensure that States Parties identify and eliminate obstacles and barriers to accessibility. These measures are applicable to the built environment (such as buildings, transportation, schools, housing, medical facilities and workplaces) and information, communications and other services (including electronic and emergency services). Article 9's provisions therefore attempt to capture the wide range of access needs of different people with disabilities in different contexts, and are intended to remain relevant over time even as technologies change. Such flexibility is significant given the speed with which technological advancements are made, and the increasing importance of technology (especially communication technology) in people's everyday lives. Crucially, the scope of Article 9 is as relevant to private actors as it is to State actors. Even though it is only States that are directly legally bound to comply with the CRPD, the treaty requires States Parties to ensure that private actors over whom they have control also comply with the goals and obligations of Article 9. These private actors include those who offer facilities and services that are open to or provided to the public, such as restaurants, transportation companies, supermarkets etc. The accessibility agenda of the program, led by the Rick Hansen Foundation (RHF), will provide a meaningful and practical forum for experts from around the world to share best practices, lessons learned, and to set the stage for international collaboration for the next 25 years. Best Practices in Accessibility - The world has changed significantly since Rick Hansen began his journey 25 years ago. This stream will showcase people, programs and partnerships from around the world that have made a positive impact in the field of physical accessibility, offering an opportunity to learn from the successes and challenges experienced along the way. UN Convention on the Rights of Persons with Disabilities (Article 9) - The Convention marked an important paradigm shift in attitudes and approaches to persons with disabilities, and the right to accessibility around the world. Delegates will discuss practical measures for the implementation and fulfillment of the Right to Accessibility as outlined in Article 9 of the Convention. Legacies of Major International Multi-Sport Events- This stream will explore how we can learn from the experiences of Games' organizing committees and host cities to move the accessibility agenda forward on a global scale. International Standards and Rating Systems - Accessibility standards and guidelines vary greatly from country to country and many accessibility rating tools exist around the world. This stream will explore the challenges and opportunities of standardization, share models from both developed and developing countries, and work towards improved international collaboration on the global quest to better serve citizens with disabilities and the aging population. The Next 25 Years - This stream will explore emerging trends in the field of physical accessibility around the world, setting the stage for international collaboration for the next 25 years. Inclusive Tourism: A Dream Safari Lodge for PwD in Gorongosa National Park? Endeavour Safaris excels in outdoor travel for people of all abilities. Gorongosa National Park in Mozambique is a Cinderella story of green, culturally-appropriate conservation and reclamation. Both are about to join up to create something entirely new in the world. This video comes your way thanks to research from Bill Forrester of TravAbility. More on Canadian outdoor accessibility. Tourism and Inclusive Destinations Development. Canadian contributions offer much to build on. Many of the most recent flow from the 2010 Olympic Games in British Columbia. Major projects included Measuring Up the North and 2010 Legacies Now! 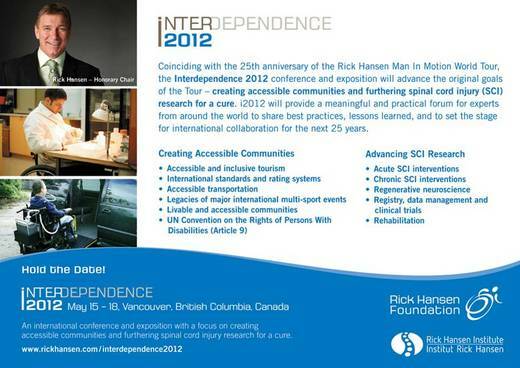 The Rick Hansen Foundation also intends to address the legacies of major sporting events. ere the work of Dr Simon Darcy in Benchmark Games will be foundational as will the work of Fondazione CRT in the Paralympics Legacy Project. A presentation by Chris Patton of South Africa National Parks. MáLAGA.- La Junta de Gobierno Local ha aprobado la firma de un convenio de colaboración entre el Ayuntamiento de Málaga, el Imserso y la Fundación Once por el que se destinarán 300.000 euros para realizar actuaciones de eliminación de barreras en el Distrito Málaga Este. El Ayuntamiento aporta a este convenio 150.000 euros, el Imserso 123.000 y la Fundación Once 27.000 euros. Se incluye dentro de los objetivos planteados en el Plan Estratégico de Accesibilidad Universal 2007-2011 en el ámbito de movilidad y eliminación de barreras físicas. Las obras de eliminación de barreras en el viario se realizarán en La Pelusa, La Mosca, la Malagueta y el Limonar. Se contemplan rebajes en las aceras, ensanchamientos, reubicaciones de obstáculos verticales, instalación de barandillas, avisadores acústicos o construcción de rampas. También se ha aprobado la formalización de un Convenio Marco de Colaboración con la Fundación Once en el que se contempla la colaboración de ambas entidades en el II Congreso Internacional de Dise?o Universal, las Jornadas sobre Accesibilidad Universal o la publicación del Libro Blanco del Taxi Accesible. A retired special education teacher on his way to a wedding in Orlando, Fla., said he was left humiliated, crying and covered with his own urine after an enhanced pat-down by TSA officers recently at Detroit Metropolitan Airport. "I was absolutely humiliated, I couldn't even speak," said Thomas D. "Tom" Sawyer, 61, of Lansing, Mich.
No one living with an ostomy should have to fear flying because of concerns that they might be humiliated at an airport security checkpoint. Tom Sawyer is sharing the story of his experiences with TSA screening so that others do not have to face similar humiliation. Tom is a bladder cancer survivor whose urinary reconstruction requires that he wear a urostomy bag which collects his urine from a stoma, or opening on his abdomen. No one should have to experience this. Thank you, Tom, for being a true bladder cancer advocate and raising awareness of the challenges facing bladder cancer survivors. In 2011, i-CREATe will be focusing on using Assistive Technology for children with disabilities. We believed that AT for early intervention will make it possible for children with disabilities to be more independent at home, schools and in the community. A child with speech problems can communicate using augmentative and alternative communications. A child with learning disabilities can use accessible learning tools in the classroom and a child who cannot use his hands can use on-screen keyboard, switches or eyegaze system to assess the computer. Assistive technology can mean anything from simple, homemade devices to highly sophisticated environmental control systems. It can be adapted toys, computers assess, powered mobility, augmentative and alternative communication devices, special switches and other adapted tools to assist a child with learning and interacting socially. The 5th i-CREATe will be held in Bangkok, Thailand for the 2nd time. In 2008, i-CREATe Thailand drew a crowd of close to 400 delegates during the 3 days convention where the participants were from a vast background which includes allied health professionals, special education teachers, rehabilitation engineers, researchers, practitioners, non-governmental organizations and more. In 2011, we are very honored to have the presence of Her Royal Highness Princess Maha Chakri Sirindhorn who will be gracing the opening of the convention for the 5th consecutive year. A good number of organizations that took part at the just concluded 48th Ordinary Session of the African Commission on Human and People's Rights (ACHPR) in Banjul are warning that the entire issue could become meaningless unless all African nations put their hands on deck and agree to an inclusive Disability Protocol. A three-page statement, signed by organizations such as the South African-based Secretariat of the African Decade of Persons with Disabilities (SADPD), Sight Savers, Disabled Person's Organizations (DPOs) and other disability persons actors or disability partners calls for the process to engage all of the forces that have a say on the issue. In fact, the communiqué, which was sent to JollofNews, decries attempts to sideline main stakeholders in the process of drafting a Protocol on the Rights of Persons with Disabilities in Africa that was prepared during the Expert Seminar on the Rights of Older Persons and Persons with Disabilities in Africa, held in Accra, Ghana, during the course of August 2009. The Convention on the Rights of Persons with Disabilities (CRPD) sets a new global standard for disability rights. As with the "Curb Cut Effect" many positive secondary effects flow from progress in justice for the disability community. Among them is raising the metaphorical "Hospitality Tent" for this under-served and growing segment of the population. SATH - the Society for Accessible Tourism and Hospitality - has been one of the central "tent poles" offering welcome long before Article 30 of the CRPD established the right of inclusion in sport, travel, and other leisure activities. The SATH World Congress is designed for those serving travelers with disabilities and the mature. Our conference goal is to bring about industry integration and participation while enhancing the facilities for all people for their travel irrespective of their age or abilities. Exceptional content and unparalleled networking opportunities are some of the trademarks of our congress. It is a place to see and be seen. We bring you opportunities to learn basic skills to excel in setting up trips and executing them with superb expertise. We pave the way for you to use social media to its full extend to reap in the profits in times like the one we are living now. El director general de Fundación ONCE, Luis Crespo, ha reconocido hoy el esfuerzo que las administraciones realizan en Castilla y León para facilitar el disfrute turístico de las personas discapacitadas y, en tal sentido, no ha dudado al situar a esta Comunidad "por delante" del resto de autonomías de Espa?a en la materia. Crespo, durante la inauguración del Congreso Internacional de Turismo para Todos, organizado por la Fundación Once en colaboración con la Red Europea de Turismo Accesible (ENAT) y que se desarrolla en Valladolid en el marco de XIV Feria de Turismo Interior (Intur), ha invitado a las empresas del sector a "crear entornos y servicios accesibles" para el colectivo de discapacitados convencido de la "ventaja competitiva" que ello reporta en tiempos de crisis, sobre todo si se tiene en cuenta que en Europa hay casi 80 millones de personas con discapacidad y "cuatro de cada cinco de ellos están dispuestos a viajar". El representante de la ONCE, en declaraciones recogidas por Europa Press, reconoció la importante labor que en esta materia se está desarrollando en Castilla y León, "que ésta por delante del resto de comunidades autónomas", con especial mención a las iniciativas desarrolladas por el Ayuntamiento de ávila y la Fundación del Patrimonio Natural, dependiente de la Consejería de Medio Ambiente. Crespo justificó la importancia de este tipo de congresos, con ediciones anteriores en Islantilla (Huelva) y Castellón, en la necesidad de sensibilizar no sólo al sector privado sino también a las administraciones públicas respecto de que el "derecho al ocio y tiempo libre es tan derecho para un discapacitado como para cualquier otra personas", de ahí, tal y como advirtió, el arduo trabajo que aún queda por realizar para subsanar deficiencias de accesibilidad que hoy son comunes en establecimientos hosteleros de toda Europa. Así, puso como ejemplos las barreras arquitectónicas en hoteles y albergues, cuyas páginas web, además, no son accesibles en un 95 por ciento de los casos, junto con un transporte no pensado para sillas de ruedas y agencias y compa?ías con servicios en los que no se tiene en cuenta para nada al discapacitado. Por su parte, la presidenta de ENAT, Lilian Müller, coincidió con el anterior respecto del importante nicho de negocio que constituye para las empresas turísticas el colectivo de discapacitados. "Es el mejor momento para que las empresas inviertan en este sector, ya que tienen ante sí millones de personas dispuestas a viajar, incluso fuera de temporada y acompa?adas de sus familiares", declaró Müller, quien advirtió que para ello es preciso eliminar "no sólo barreras físicas sino también mentales". El alcalde de la capital del Pisuerga, Francisco Javier León de la Riva, quien intervino también en el acto inaugural celebrado en la Feria de Valladolid, se mostró convencido de que hoy ninguna persona sensata concibe un turismo no accesible para todos y, tomando como referencia la gastronomía y la cultura, cuestiones ambas objeto de debate en esta tercera edición del congreso, aprovechó para ensalzar la decidida apuesta que la Concejalía de Turismo realizó hace ocho a?os y que ha convertido a la ciudad en "referente nacional e internacional desde el punto de vista gastronómico". Así, el primer edil subrayó las distintas experiencias de la ciudad en materia de 'turismo innovador', con variadas ofertas en enología, la cocina en miniatura (acaba de celebrarse el 4o certamen internacional de tapas y pinchos), la cultura del pan o la tradición repostera de las comunidades monásticas, "que son sólo una peque?a muestra del gran abanico de posibilidades que se han explorado ya aquí para impulsar al unísono y en perfecta armonía nuestra oferta turística y gastronómica". El III Congreso Internacional de Turismo para Todos es un proyecto que nació para dar respuesta a la necesidad que tienen las personas con discapacidad de acceder al turismo de una forma normalizada. En él participan 300 personas, representantes de unos 20 países, como Argentina, Finlandia, Eslovenia, República Checa, Sudáfrica, Alemania, Italia, Grecia, USA, Suecia, Bélgica, Brasil, Turquía, Nueva Zelanda, Canadá, Polonia, India y, por supuesto, Espa?a. Entre los objetivos de este encuentro están concienciar al sector turístico en la necesidad de establecer fuertes directrices del Dise?o para Todos y la Accesibilidad Universal; conocer y divulgar ejemplos de buenas prácticas del Turismo para Todos; mostrar al sector la rentabilidad de las propuestas del Turismo Accesible; unificar criterios de accesibilidad en el Turismo para Todos, y potenciar el papel de la cultura como fuente de recursos turísticos. Asimismo, se pretende contemplar la elaboración de proyectos técnicos, realistas y rigurosos, que faciliten la conversión del potencial cultural en productos turísticos adaptados a las necesidades de todos y mostrar las posibilidades de trabajo para personas con discapacidad dentro del creciente desarrollo del turismo cultural. En la jornada sobre 'La accesibilidad Universal a los medios de transporte', Roser Romero, miembro del Comité Ejecutivo del CERMI, ha propuesto la creación de un observatorio sobre la accesibilidad al transporte. A este observatorio podrían acceder directamente las personas con discapacidad para exponer sus opiniones y necesidades en esta materia. La jornada se inició con una mesa redonda en la que distintos expertos han analizado las oportunidades y retos del transporte accesible. Lorenzo Chacón, presidente del Comité Nacional del Transporte por Carretera (CNTC), ha sido uno de los ponentes y ha apuntado que en el transporte por carretera 'hay que avanzar mucho y muy rápido', para obtener una 'accesibilidad globalizada y sostenible'. En cuanto al entorno normativo, ha se?alado que 'habría que avanzar en una armonización de todas las normativas' ya que éstas también deberían ser accesibles. Romero intervino en la clausura de esta jornada que se ha celebró en el Congreso de los Diputados. En su opinión, es necesario tener presentes todos los principios del dise?o universal en la accesibilidad al transporte antes de acometer proyectos y trabajar con el sector de la discapacidad, así como armonizar la legislación y que la movilidad sea 'accesible y asequible'. It will challenge some of sense of success and question some of our strategic focus. My apologies beforehand - especially to my closest colleagues who generally tend to be in developing nations where the impact may be felt first. With the article I hope I am offering a set of ideas to inoculative the rest of the world against the contagion of backlash. Yes, there is a backlash in the USA to even the simplest principles of accessibility. You have seen the stories of random discrimination by airlines mushroom on Trang web cá cược trực tuyến www.themiracleofkangaroomothercare.com. Rather than grant Ms. Kessler's request for a safe, accessible route, the association has alleged that she has violated certain association rules, for which she has been fined $850. Ms. Kessler believes that she has followed all the association's rules, and that the fine was levied in retaliation for her requests for accommodation. In addition to the condominium association's refusal to provide an accessible dog route and its alleged retaliation against Ms. Kessler, it has rejected Ms. Kessler's request for an accessible parking place. Accessibility is certainly not an accomplished fact in even the most forward-thinking and affluent of places. There has long been a sub-specialization in the US legal field that "defends against" application of the ADA. With these countervailing forces in mind, settling for mere accessibility, which is only a strategy toward the overarching goal of inclusion is shortsighted. It is like fumbling with tent pegs when it is long past time to set the tent poles firmly in the upright and locked position. Mere accessibility is necessary but insufficient to our goal of full social inclusion. So I propose that we call out those events, ideas, and people who have moved beyond settling for a minimalist approach to those who are are actively engaged in realizing everything that Article 30 of the Convention on the Rights of Persons with Disabilities sets out. Wherever you may be - North America or South, Europe or Asia, on an island or deep inside Africa - grab the tent pole laying untended in your region. We're putting up the big tent. You are all invited. The main theme of the 3rd International Congress of Tourism for All is Cultural Tourism, and the Congress is therefore aimed at professionals in the cultural sector wishing to enhance their participation in the tourism sector, and has as its main goal that of establishing Universal Accessibility and Design for All, with which to promote inclusion of people with [sic] special needs. View more documents from guest0dd9bc52. The Pac Rim Conference has a multitude of tracks. This year organizers are making an effort to reach out on the topic of inclusion in tourism. Their category "Accessible Worlds" might be a good place for anyone interested in presenting a talk on any aspect of Article 30 of the CRPD. How can we create and sustain a world where every human being has access to the political, social, cultural and economic aspects of life? Advancing inclusion, equality and diversity requires, as its foundation, accessibility to those realms. For millions of people with disabilities, a barrier-free world is a dream. This topic area focuses on how we--as individuals, organizations, companies, communities and regions--are removing barriers. What holds promise? What is replicable and affordable? This year we will look at two areas which make a huge difference in people's lives and ones in which the advancement of inclusion, equality and diversity could hold a more meaningful promise to the over 650 million persons with disabilities worldwide--Technology and policy initiatives. Information Technologies to close the digital divide for people with disabilities. Accessible computing in the home and workplace. Low cost, accessible computing for developing countries. The application of robotics and engineering to improving the quality of life for people with disabilities. For example, robots as helpers for people in day to day life. New modes of media for people with disabilities. Methods of delivering information that reach people with limited vision, hearing, mobility or other disabilities in new ways. New media models that provide new and useful services to people with disabilities. Presentations that explore and identify the links between accessible urban design and social inclusion. Accessible transport, public transit and telecommuting to improve access to work and social activities for people with disabilities. New assistive technologies in the home and workplace. Universal design for developing countries. Policy initiatives that encourage adoption of assistive technologies and universal design. Policy initiatives that encourage research on new assistive technologies and universal design. Best practices on implementing assistive technology services. Support systems that enhance the access of people with disabilities in rural settings. Urban Planning relating to: public service systems; social impact assessments; planning for multiple publics; housing policies and disability communities. Best practices in participatory mechanisms which include all people in decision-making processes in urban planning and disaster management. Action plans that combat negative impacts of the urban environment on mental, physical and social health and on an aging population. We welcome all proposals. Please see presentation formats on our Web site:http://www.pacrim.hawaii.edu/submissions/presenters/formats/ Please read criteria for each format and ensure that you have the appropriate number of presenters for your chosen format. S?o Paulo, 22 de novembro de 2010 - Come?am em novembro as obras para a constru? ?o do Parque Ecológico Imigrantes, projeto que vem sendo desenvolvido há cerca de três anos pela Funda? ?o Kunito Miyasaka em área de 484 mil m2 de Mata Atlantica. A coloca? ?o da Pedra Fundamental, que marca o início da constru? ?o, vai acontecer no próximo dia 24. O Parque Ecológico Imigrantes ficará às margens da Rodovia dos Imigrantes, no Km 34,5, caminho entre as cidades de S?o Paulo e Santos. Foi idealizado para ser sustentável em todos os detalhes e já conta com a Certifica? ?o AQUA (Alta Qualidade Ambiental), referente a fase programa, concedida pela Funda? ?o Vanzolini, demonstrando que o projeto foi idealizado visando baixo impacto no meio ambiente, o menor consumo de recursos naturais e o conforto e a saúde dos usuários. O certificado AQUA é concedido a projetos que atendam 14 critérios de sustentabilidade segmentados em quatro categorias: eco-constru? ?o, eco-gest?o, conforto e saúde. Com um conceito arquitet?nico totalmente inovador, as áreas construídas do parque ficar?o suspensas sobre uma densa floresta de Mata Atlantica. Passarelas entre as copas das árvores ligar?o os espa?os modulares projetados para abrigar salas multiuso, biblioteca, auditórios e centro de pesquisa. Um elevador vertical panoramico permitirá o tráfego de visitantes entre as trilhas e esses espa?os. O parque terá como pilar uma vasta programa? ?o educacional, fundamentada na metodologia museológica para catalogar a fauna e flora da Mata Atlantica. Oferecerá cursos de educa? ?o ambiental e forma? ?o de monitores, garantindo a qualidade pedagógica das visitas de crian?as, jovens e adultos. O projeto busca conscientizar a popula? ?o sobre quest?es de preserva? ?o, uso dos recursos naturais e reaproveitamento, tudo integrado a um espa?o de ecoturismo e entretenimento para S?o Paulo e demais cidades da regi?o do ABC, Baixada Santista e também para pesquisadores do mundo todo. O objetivo é fazer do Parque Ecológico Imigrantes uma referência mundial para pesquisa sobre a fauna e flora da Mata Atlantica. O local contará ainda com uma vasta programa? ?o educacional com cursos de meio ambiente visando o uso respeitoso da natureza. Os visitantes participa? ?o de experiências audiovisuais com ambientes em 3D, Web 2.0, IPTV (internet protocol television), games e mobile learning a fim de expor a rica diversidade desses ecossistemas e ensinar maneiras de preservar o meio ambiente de forma interativa, dinamica e interessante. O Parque Ecológico Imigrantes será o primeiro projetado para garantir 100% de acessibilidade, nas áreas suspensas, para portadores de deficiências físicas e visuais. Uma trilha pela mata foi planejada e nivelada para atender aos cadeirantes, evitando subidas íngremes e todas as áreas ter?o cordas guia e placas informativas em linguagem Braille para deficientes visuais. Dois bondinhos suspensos e movidos por um sistema pendular ser?o disponibilizados para facilitar o deslocamento da entrada ao interior do parque. Também ser?o oferecidos programas de ecoturismo criados especialmente para este público. Segundo o publicitário Antonio Rosa, presidente da Funda? ?o Kunito Miyasaka, o Parque Ecológico Imigrantes foi projetado para causar a menor interven? ?o possível no meio ambiente. "Usaremos a?o na maior parte das estruturas por apresentar maior durabilidade, menor gera? ?o de resíduos e ainda por exigir poucos pontos de apoio no solo", diz. A visita? ?o será limitada a 300 pessoas por dia, divididas em dois turnos, a fim de n?o prejudicar o equilíbrio ambiental da área. Por essa raz?o, todas as visitas ao local ser?o agendadas e acompanhadas por monitores - moradores da regi?o que ser?o devidamente capacitados por entidades parceiras da Funda??o. O investimento total previsto para a constru? ?o do Parque Ecológico Imigrantes é de R$16,69 milh?es, sendo que a Funda? ?o já investiu R$794 mil. O restante deverá ser viabilizado por meio de parcerias com empresas que entendem a importancia de projetos de desenvolvimento sustentável. Just 7 days remain to submit your innovation to the Geotourism Challenge 2010! Ashoka's Changemakers, National Geographic and the Inter-American Development Bank are looking for innovative tourism models that protect the environment, and enhance the character of waterways and the culture and heritage of local populations. Submit your entry from ANY REGION of the world until December 1, 2010. Visit Trang web cá cược trực tuyếnhttp://www.changemakers.com/coasts to submit your initiative to the competition. Learn more about these opportunities by visiting http://www.changemakers.com/coasts! have duly reported him to Transport For London. It's astonishing that people like that scumbag are allowed to drive London cabs isn't it? It's bad enough with disabled UK citizens being discriminated by our own cabbies, I wonder how our disabled guests will feel in 2012 when they visit for the Paralympics? On Wednesday night I was invited to the Foreign & Commonwealth Office on the occassion of the Council of the Overseas Territories with attendees including delegations from the British Virgin Islands, Falkland Islands, Pitcairn, Saint Helena, Cayman Islands etc. What a gathering - lots of business cards exchanged. Interesting to talk to so many Premieres, ministers and UK appointed FCO Governors - including Boyd McClearly, the new Governor of the British Virgin Islands - what a nice guy. CLICK HERE for more info on the UK Overseas Territories Association. Engineers in London. If you have not seen the video I made last year of their amazing wheelchair lift, CLICK HERE (sorry it is sideways). I was there as an RYA Council member and as one of this year's judgning panel - difficult job with so many worthy applicants this year. "Dr Sandra Rhodda is succeeding at the proverbial process of "turning a battleship with her bare hands." Actually, if you look at a map, you might imagine her turning two of them at once -- both North Island and South -- as she converts New Zealand over to systematically including seniors and people with disabilities in tourism planning. She brought us the inaugural Access Tourism New Zealand Conference at AUT University Auckland on October 4th, 2010). The conference was organized by the New Zealand Tourism Research Institute. More recently, in a first for New Zealand, The New Zealand Tourism Research Institute at Auckland University of Technology has created a Research Programme Area in Access Tourism headed by Dr Rhodda. In what we hope is a regular event the Access Tourism New Zealand Conference joins the ranks of Inclusive Tourism "Tent Pole Events." In a first for New Zealand, The New Zealand Tourism Research Institute at Auckland University of Technology has created a Research Programme Area in Access Tourismheaded by Sandra Rhodda. NZTRI's Access Tourism programme aims to research and develop Access Tourism in NZ. Access Tourism is tourism, travel, and hospitality for people with permanent or temporary disabilities, seniors, parents with strollers, and any person with a need for improved access. This is an interdisciplinary research area that addresses the challenges and opportunities presented by Access Tourism. The Access Tourist already represents a sizeable proportion of our tourism markets. Between 17 and 20% of the population in our main markets already report a disability, and this percentage is bound to grow because the large Baby Boomer cohort is ageing and disability increases with age. Those aged 45 or older already comprise almost half of our domestic and international visitors (and over 70% of our cruise ship visitors). Le 8 novembre dernier, j'ai assisté avec plusieurs membres du RAPLIQ à la conférence de M. Richard Bergeron (chef de Projet Montréal), portant sur sa vision de ce que devraient être les nouvelles orientations de la Ville de Montréal en matière d'urbanisme. En fait, cette conférence consistait en la reprise d'une conférence ayant déjà eue lieu le 5 octobre dernier, dans un pub inaccessible aux personnes ne pouvant pas gravir des marches d'escaliers (telles les personnes se dépla?ant en fauteuil roulant), alors que M. Bergeron était responsable de l'urbanisme à la Ville de Montréal. Le RAPLIQ avait alors demandé la relocalisation de cette conférence dans un lieu accessible. Cette demande avait été jugée comme étant irrecevable par Projet Montréal, sous prétexte qu'il est très difficile de trouver des pubs accessibles à Montréal et que de relocaliser l'évènement à quelques jours d'avis causerait du tort aux ? autres ? personnes!!! Bergeron et des militants de son parti nous avaient alors répété à plusieurs reprises que, d'habitude, toutes leurs réunions avaient lieu dans des endroits accessibles. Malgré les demandes répétées de l'attachée de Bergeron de ne pas rappliquer, plus d'une dizaine de militantEs du RAPLIQ avaient protesté pacifiquement sur le trottoir en face du pub inaccessible. M. Bergeron, plut?t surpris et mal à l'aise de nous laisser ainsi sur le trottoir (malgré nos demandes de tenir cette conférence dans un lieu accessible à toutes et tous), nous avait alors promis de tenir la même conférence dans un lieu accessible dans les plus brefs délais. Cette promesse fut tenue et, c'est dans ce contexte que nous nous sommes retrouvéEs dans une salle du Centre Marcel-et-Gabrielle-Lapalme, pour participer à la conférence de celui qui avait fait les manchettes au cours des jours précédents. Nous avons été soulagéEs de constater que de nombreuses personnes s'étaient déplacées pour cette deuxième conférence malgré la pluie de novembre: nous redoutions d'assister à une conférence ? spéciale ? pour celles et ceux qui avaient été exclus de la première! Bergeron a commencé sa présentation en faisant mention de l'action du RAPLIQ lors de sa conférence précédente : ? Vous m'avez rappelé à l'ordre très durement ?, nous a-t-il lancé. Lors des jours qui ont suivi notre action, j'ai surtout eu l'impression que nous avions été trop gentils - Gandhi nous aurait trouvé trop pacifistes, j'en suis certaine. Comment des gens peuvent-ils refaire le monde en en laissant une partie sur le trottoir? Le 5 octobre dernier, Bergeron nous a rappeléEs à l'ordre très durement - notre exclusion n'est toujours pas per?ue comme étant inacceptable. Bergeron a continué en expliquant que sa présentation serait identique à celle du 5 octobre dernier, à l'exception de l'ajout d'une diapositive. Il a d'abord fait une présentation intéressante de l'histoire de l'urbanisme dans le Plateau Mont-Royal. Nous oublions souvent que plusieurs quartiers montréalais se sont développés avant l'arrivée de l'automobile et que la grande majorité des déplacements se faisait alors en tramways! C'est d'ailleurs ?a le grand rêve de Bergeron: le retour des tramways à Montréal. Une grande partie de sa présentation était consacrée à un voyage à travers l'Europe, comptant quelques escales en Asie et aux états-Unis. C'est durant le récit de ce voyage que la nouvelle diapositive a été présentée (on remarque qu'elle est nouvelle car elle se distinguait nettement des autres en matière de design). Bergeron a lancé avec fierté que le tramway est le seul moyen de transport en commun universellement accessible, en nous rappelant que cela co?te très cher rendre notre métro accessible. J'ai été très surprise de le voir affirmer avec une conviction très profonde que le tramway était le seul moyen de transport universellement accessible. Je me souviens pourtant des obstacles rencontrés lorsque j'ai utilisé les tramways d'Amsterdam et de Berlin! Le tramway n'est pas un moyen de transport intrinsèquement accessible universellement. Il n'est un moyen de transport universellement accessible que si l'on le con?oit comme tel! Dans les villes mentionnées ci-haut, les tramways que j'ai utilisés étaient tous neufs. Toutefois, il était difficile d'y accéder car de nombreux arrêts n'avaient pas de trottoirs surélevés ou bien les rampes d'accès étaient brisées. Décidemment, Bergeron et moi n'avons pas fait les mêmes voyages en tramway! Le problème, ce n'est pas que Bergeron n'ait pas remarqué les problèmes d'accès que peuvent engendrer les tramways, au même titre que n'importe quel moyens de transport, s'ils ne sont pas correctement con?us. Le problème, c'est que Bergeron parle de l'accessibilité de ce moyen de transport comme s'il était dans mes souliers/mon fauteuil, alors que ce n'est pas du tout le cas! La présentation de Bergeron s'est conclue peu après l'intervention de Linda, qui commen?ait à s'inquiéter de l'arrivée prochaine du transport adapté de plusieurs personnes : ? C'est parce que nous avons des questions à vous poser M. Bergeron ?, lui a-t-elle dit, un peu gênée mais pas trop. Linda a été la première à intervenir. Avec un petit sourire en coin et une voix ferme, elle a demandé à Bergeron s'il comptait rendre le nouveau quartier général de son parti accessible. Linda lui a alors présenté une photo de l'entrée du quartier général, sur laquelle on peut voir qu'il y a une belle marche à l'extérieur. Quelques jours après le 5 octobre, alors que nous nous étions fait dire et redire que Projet Montréal tenait habituellement ses activités dans des lieux accessibles et que nous l'avions cru, nous avons été consternés de voir que le parti dévoilait fièrement la fringante enseigne de son nouveau quartier général sur la rue Notre-Dame. Ce que nos yeux ont remarqué, ce n'était pas la nouvelle enseigne mais plut?t la marche à l'entrée - oui, la marche qui fait en sorte que le nouveau quartier général de Projet Montréal ne soit pas accessible! Bergeron, visiblement embarrassé, s'est alors empressé de s'engager à rendre le local accessible d'ici un mois. ? Vous ne pouvez pas nous reprocher le fait que ?a ne soit pas accessible. Toutefois, une fois que nous sommes au courant, si cela n'est pas fait d'ici un mois, là vous aurez quelque chose à nous reprocher ?, a-t-il répondu à Linda. Il a continué en affirmant: ? L'accessibilité c'est votre bataille. ?a vous appartient. C'est votre fardeau. ? Nous sommes plusieurs paires d'oreilles à avoir été abasourdies par ces derniers mots. L'accessibilité c'est notre fardeau? Et vous dites que vous voulez nous proposer une autre fa?on de vivre en ville? Aujourd'hui, je me console en me disant que des hommes ont un jour réagi de la même fa?on face aux femmes qui ont commencé à lutter pour la reconnaissance de leurs droits, qu'il y a à peine quelques décennies des Blancs n'avaient pas trouvé de meilleures réponses à donner face à leurs concitoyens Noirs qui ne pouvaient pas s'asseoir à leurs c?tés dans les autobus publics, qu'encore aujourd'hui des hétérosexuels n'ont pas compris l'importance de soutenir des évènements comme la fierté gaie. J'imagine que je suis chanceuse. Un jour, je pourrai dire à mes petits-enfants qu'à mon époque, il y a des gens qui osaient inaugurer des endroits dits publics qui étaient inaccessibles, en se disant que l'accessibilité était notre fardeau. J'aurai l'air d'avoir vécu dans une époque très lointaine avec mes milles et une histoires incroyables. *Le RAPLIQ collabore présentement avec Projet Montréal afin de les aider à respecter la promesse de Bergeron de rendre leur quartier général accessible avant le 8 décembre. Journeys without Borders offers the responsible tourism package Himalayas on Wheels. travel to Ladakh. For more information see Travel to Care. Uploaded by TravelToCare. - Explore new destinations and travel videos. Reuss ended up studying Italian and Italian Sign Language in Verona, Italy. Trang web cá cược trực tuyếnhttp://areuss11.wordpress.com/. Accessibility for All is the focus of the 2010 World Standards Day... The European Commission gathered the key actors of standardisation and invited the European Disability Forum to highlight the accessibility challenges. The disability movement supports this great initiative: by taking into consideration the needs of users with disabilities, standardisation encourages equal access to urban environments, information and communication technologies, services and improves the design of consumer products. Why are standards important for consumers with disabilities? Standardisation is the process of developing standards and technical specifications to improve, guaranty the consistent quality and safety of services and products. It is carried out by independent standards bodies, acting at national, European and international level. Carlotta Besozzi, Director of the European Disability Forum (EDF)presented why standards are important for consumer with disabilities. She also focused on the next necessary steps to ensure a barrier free Europe. Above all, standards are crucial for persons with disabilities : it is obvious that concrete set of rules to ensure persons with disabilities have equal access to Society. All levels are concerned: from built environment, to transports, goods, information and communication technologies (ICTs) and services . Standards don't only take apart existing barriers, they also avoid additional exclusion. In addition to this, standards have potential to improve the possibilities of independent living. Moreover, EDF would like to highlight that standards cannot represent an alternative to binding measures, but they are a useful tool to underpin legislation. During the conference, EDF explained the obligations related to standardisation following the conclusions of the UN Convention on the Rights of Persons with Disabilities by the European Union. Under article 9 'accessibility', States Parties have the obligation to "take appropriate measures to develop promulgate and monitor the implementation of minimum standards and guidelines for the accessibility of facilities and services open or provided to the public". - Accessibility should be mainstreamed in European standardisation processes to be taken into account in the creation and development of European standards. - A sustainable participation of representatives of Disabled People Organisations in European standardisation at both EU and national level is crucial because they gather the expertise on what they need in order to access goods, services, ICTs, transports and the built environment. At a recent regional meeting of Inclusion International and Inclusion Interamericana in Bogotá, Colombia to promote the implementation of the Convention on the Rights of People with Disabilities one of the participants, Juan Cobe?as, from Argentina, was prevented from attending the meeting because the airline TACA he and his family were travelling with lost part of his wheelchair. Juan has a disability and needs different supports, among them a wheelchair specifically adapted for him. When Juan and his family arrived at Lima airport to get on the connecting flight to Bogota they were told that only the basic part of the wheelchair had been found. While the airline made some enquiries to try to find the missing part necessary to make the wheelchair fully functional, Juan was forced to use the unsuitable basic wheelchair, which is of no good use in those conditions... " it looked like Juan had been thrown in it, he had to sit in an impossible position for him. Without the other part the wheelchair kept folding up and Juan's feet that were left dragging on the floor and kept twisting so we had to use the back wheels to carry him...it was undignifying and hurtful to see him there" said Juan's mum Elena. Eventually the airline supervisor confirmed that they could not locate the missing part. Showing very little sensitivity he advised them to fill in a complaint form and continue their trip to Bogota. The airline failed to understand that losing a wheelchair is not like losing a suitcase and that without a fully functional wheelchair Juan could not continue his trip and had no other option but to return home. The wheelchair and its companion parts have since been recovered and returned to Juan but self-advocates and families who attended the Conference demand an apology and compensation for the violation of Juan's human rights. 1. That TACA Airlines pay for any repairs needed for the wheelchair. 2. That TACA Airlines refund the cost of the air tickets to Juan and family. 3. That TACA Airlines issue a public apology. Inclusion International is a global federation of family-based organizations advocating for the human rights of people with intellectual disabilities worldwide. If you would like to take action against the airline and show your support for the work of Inclusion International in fighting against human rights violations against people with disabilities please sign the attached petition and send it to your networks. Durante el encuentro regional de Inclusion International e Inclusion Interamericana que tuvo lugar en Bogotá, Colombia recientemente sobre la implementación de la Convención de los Derechos de las personas con discapacidad, Juan Cobe?as de Argentina tuvo que cancelar su participación porque la compa?ía aérea con la que viajaban él y su familia le perdió una parte de su silla de ruedas. Juan tiene una discapacidad y necesita varios tipos de apoyo, entre ellos una silla de ruedas especialmente adaptada para sus necesidades. Cuando Juan y su familia llegaron a Lima haciendo escala para r el vuelo de conexión a Bogotá se les informó que sólo una parte de la silla de ruedas había aparecido. Mientras la compa?ía investigaba donde podía estar la otra parte de la silla Juan se vio forzado a utilizar la parte básica de la silla, la cual es de poco uso en ese estado..." Quedaba como tirado ahí, en una posición imposible para él, con el agravante que sin sus partes la silla se cerraba, y los pies de él se torcían contra el suelo, por lo que para trasladarlo había que hacerlo en las dos ruedas de atrás..... era indigno y doloroso verlo ahí" dijo Elena, la madre de Juan. Finalmente el supervisor de la compa?ía les confirmó que no pudieron localizar la parte que faltaba. Mostrando muy poca comprensión por la situación les aconsejó que pusieran una queja y continuaran su viaja a Bogotá. La compa?ía aérea pareció no entender que la perdida de una silla de ruedas no se puede comparar a la perdida de una maleta y que sin su silla Juan no podría continuar su viaje por lo que se vio obligado a regresar a casa. Los componentes perdidos de la silla de ruedas han aparecido finalmente pero los autogestores y familias que atendieron la Conferencia exigen una disculpa y compensación por la violación de los derechos humanos de Juan. · Que la aerolínea TACA regrese el costo del boleto de Juan y de sus acompa?antes. Inclusion International es una federación global de organizaciones de familias que abogan por los derechos de las personas con discapacidad intelectual a nivel mundial. Si deseas apoyar la carta contra la compa?ía aérea y mostrar tu apoyo por el trabajo que Inclusion International realiza en la lucha contra la violación de los derechos humanos de las personas con discapacidad firma la petición en la carta adjunta y circúlala a tus contactos. The Judges said "Scott Rains' pioneering work has centered on tackling the concept of 'inclusivity' in tourism. He has campaigned, at high level, to ensure that access to tourism experiences remains a key focus in the growing responsible tourism movement, and he has done so in an industry still growing in its awareness of social inclusiveness." "This year I have been heartened by the depth of commitment and connection our winners have shown to the local communities in their destinations. Their successes and pioneering spirits are remarkable and the very real and authentic experiences they have created, set responsible tourism apart. They also remind us that holidays can be both luxurious for visitor and enhancing for local people - helping build schools, water pumps, clinics and conserving cultural and natural heritage." Dr. Rains' contributions to increase travel options for those with disabilities have included evaluating South Africa's tourism product in anticipation of the 2010 World Cup, keynoting the Carlo Besta Italian National Neurological Institute's conference on Inclusive Tourism in Milan, serving as Scholar-in-Residence at the Center for Cultural Studies at the University of California Santa Cruz, training five-star hotel management in a cross-country tour of India, and presenting the closing address at the Inclusive Play Symposium sponsored by Landscape Structures, Inc. He systematically seeks out students, entrepreneurs, scholars, and others with disabilities in each country where he works in order to forge sustainable local networks so that local citizens with disabilities benefit from the expansion of tourism that he promotes. His work for the disability community also includes as a Zero Divide Fellow and Benetech Fellow. In the latter position he directs volunteer programs for Bookshare.org. "I'm once again humbled by the commitment, drive and ingenuity of today's winners. They have shown us all what can be achieved by the people and places seeking to benefit from tourism, even when the economic climate continues to challenge us all. Theirs is truly an example for the rest of the industry to follow, and I'm delighted that Virgin Holidays is again able to be a part of this celebration." How astounding it was that after writing in this column on October 25 about Dr Abdul Kalam, the 11th President of India, regarded as the 'missile man of India,' who strongly advocates an action plan to develop his Motherland into a knowledge super power and to a developed nation, I had the rare opportunity of listening to one of our own 'Action Men', Dr Ajith C S Perera, giving a live discourse with equal vim and vigour about our own Motherland focusing on the subject, 'not to miss opportunities in our hands in promoting a sustainable national economy'. The 90 minute oration was organized at Subud House, Bambalapitiya by a dynamic group of business and professional women who are renowned for their out-and-out dedication on social welfare activities through two tiers of their organization - mature and experienced and the young professional women. The altruistic projects carried out by this Association over a long period of time by the founder and a long time President of Mrs Bandaranaike ilk are on record to justify any comments. The 'Action man' on the oration, Dr Ajith C S Perera is a Chartered Chemist by profession who became a victim of paraplegia in 1992 consequent to a natural accident by a tree crashing on to his car during stormy weather. From 1997 he has been a channel campaigning in Sri Lanka as an 'accessibility mentor' on disability issues pioneering and advising how to facilitate environments for everyone. When we travel we represent more than ourselves because we are part of a community. As a person with a disability you carry two items of unusual value - especially in combination. Both tend to surprise those you meet as you travel. The two items are money and pride. By money I don't just mean the change in your pocket. By pride I mean the self-determination of knowing who you are beyond economic measures of worth. The very fact that you have a disability and travel suggests something about your economic condition. It indicates that you have credit, savings, education, maybe a profession that requires travel, but most importantly the ability to make decisions about the course of your life for yourself. That combination of means and dignity are potent means of social transformation. Leisure travel means moving beyond mere survival mode. A small but growing percentage of us have made the transition to economic stability but we are not equally distributed around the world. Travel spreads us around which is to say that it spreads around living examples of an alternate lifestyle; ambassadors of choices still out of reach for some. American adults with disabilities or reduced mobility currently spend an average of 13.6 billion U.S. dollars a year on tourism. In 2002, these individuals made 32 million trips and spent 4.2 billion dollars on hotels, 3.3 billion on airline tickets, 2.7 billion on food and beverages, and 3.4 billion on trade, transportation, and other activities. 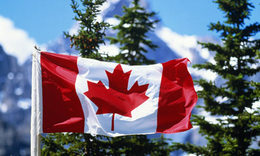 The most popular international destinations for this tourist segment are: (1) Canada; (2) Mexico; (3) Europe; and (4) the Caribbean, in that order. Out of a total of 21 million persons, 69% had traveled at least once in the previous two years, including 3.9 million business trips, 20 million tourist trips, and 4.4 million business/tourist trips. In the previous 2 years, out of a total of 2 million adults with disabilities or reduced mobility, 7% had spent more than 1,600 dollars outside the continental United States. In addition, 20% had traveled at least 6 times every 2 years. A study by the Open Doors Organization estimated that in the year 2003, persons with disabilities or reduced mobility spent 35 billion dollars in restaurants. According to the same study, more than 75% of these people eat out at restaurants at least once a week. The United States Department of Labor reported that a large and growing market of Americans with disabilities or reduced mobility have 175 billion dollars in purchasing/consumer power. In the United Kingdom, the Employers' Forum on Disability estimated 10 million adults with disabilities or reduced mobility in the UK, with an annual purchasing power of 80 billion pounds sterling. The Canadian Conference Board reported that in 2001, the combined annual disposable income of economically active Canadians with disabilities or reduced mobility was 25 billion Canadian dollars. The economic means to determine our own futures gives us powerful leverage as consumers on the shape of the attitudes, infrastructure, and products of the travel industry. Our travel behavior is studied as a statistical tool by the industry. The meaning of disability pride is still beyond their comprehension. Community is the multiplier effect that makes our economic behavior only a small part of global impact that we exert. When we travel we represent more than ourselves because we are part of a community. We are part of the community of people with disabilities. Woven through that community is a unifying thread of pride. As members of a community we are a symbol. Symbols are ambiguous. They leave room for extra meaning to be attached to them as well as hidden meaning to be extracted from them. As we enter into life in another location and culture it is our foreignness, both obvious and subtle, that strains against what people with disabilities symbolize there. We may be fortunate enough to have begun our travel from a situation where family, friends, legislation, luck, and hard work have given us a strong sense of self-confidence and a life lived among people like ourselves. A change of location might place us where our identity as a member of the disability community is only vaguely perceived as membership in some inconsequential and marginalized "community of difference." Often those meanings attached to us abroad are the very stereotypes we have worked so hard to abolish, or at least insulate ourselves from, back home. Travel can mean separation from the replenishing sources of disability identity and pride in our lives. Loss of a community of disability pride isolates us from personal relationships, political discussions, and the artistic vitality of our culture. Yet that very "presence of absence," that experience of "saudade" as it is called in Portuguese, is one of the privileged moments of travel. Personally it can give us perspective on our lives. Publicly it advertises us as being a portal for others into an as yet unexperienced way of life as a person with a disability. Travel the world today and you will find that there is a hunger for community and solidarity among people with disabilities. Wherever you go you will find unique opportunities to learn from and contribute to local manifestations of disability culture. As an exchange student, backpacker, business, or vacation traveler your identity as a person with a disability gives you access to faces of the host culture that are both positive and negative. It also provides you with the legitimacy and gravitas. It allows you to share wisdom from our disability cultural core value of interdependence in ways that challenge beyond what would be acceptable for those who have not experienced life and formulated their sense of justice by living with a disability. The conversations you encounter along the way will vary. Regions are self-organizing around issues that will make travel easier for all of us. Asia is applying the UN Biwako documents to campaign for a rights-based approach to travel. Africa recognizes the development potential of tourism and its eco-tourism resources. Australia builds on its early lead in inclusive tourism with a gap analysis to coordinate government and industry. North and South America are in dialogue about raising the cruise industry infrastructure that links them to world class best practices. The Middle East is forging a new view of disability in dialogue with Islam while developing its luxury and historical tourism. Europe is engaged in unifying ecologically sustainable green tourism with its counterpart socially sustainable accessible and inclusive tourism. When we travel we are ambassadors of a community beyond borders with a set of core values that the world has a chance to discover through the choices we make. Take your pride on the road and level the path for the ones who come after you. United Nations on how the Convention is being implemented in New Zealand. have the opportunity to have input into this report" said Minister Turia. Zealand ratified the Convention in September 2008.
monitor the rights of disabled people," said Mrs Turia. implementation of the Convention is available for public feedback. f.. background information (in the Key Links). individual or as part of a group. c.. participating in the online discussions on Bang the Table. New Zealand's first report on implementation of the Convention is now due. The final Report will be submitted to the United Nations in March 2011.
which means future reports will be compared against it. GAATES is co-sponsoring A conference on The Right to Access for Persons with Disabilities to the Built Environment and Transportation: Design for All being held in Benghazi, Libya on December 13-14, 2010. Below is the conference agenda detailing the list of speakers and topics being covered; which include the built environment, transportation and tourism. Please share this information with your organization, colleagues and associates. We look forward to seeing you if you are able to attend. Bachir Achour Fitouri: Secretary-General of the General Association of Persons with Disabilities in Libya. Topic: Right to Accessibility - the International Convention on the Rights of Persons with Disabilities. Speaker: Mukhtar Al Shibani, Vice-president of GAATES (Saudi Arabia). international tourist arrivals exceeded the record achieved during the same period of the pre-crisis year 2008. According to the latest issue of the UNWTO World Tourism Barometer, worldwide arrivals between January and August 2010 totalled 642 million, some 40 million more than during the same months of 2009 (+7%) and 1 million more than in the same period of the record year 2008. Based on current trends, the number of international tourist arrivals is projected to increase in the range of 5%-6% over the full year. In 2011, growth is expected to continue at a more moderate pace, at around the long-term average of 4%. Worldwide, international tourist arrivals grew by 7% in the first eight months of 2010 compared to the same period of 2009. Results are positive in all world regions. Emerging economies however continue to lead the way, growing through August at a rate of 8% compared with 5% for advanced economies. 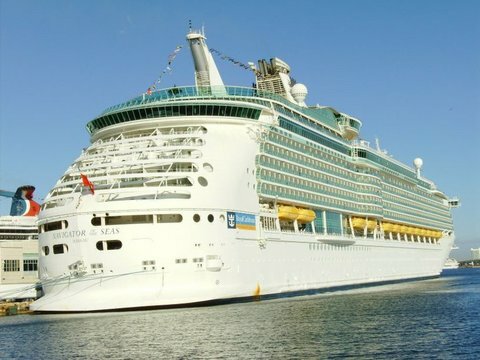 July and August, the traditional high-season months of the Northern Hemisphere, clearly set new records, attracting respectively 112 million and 108 million international arrivals. These 220 million represented an extra 8 million arrivals over arrivals in the peak year 2008, and 12 million more compared with the crisis year 2009. Results were strongest in March (+9%), May (+11%) and June (+9%), in contrast to the seriously negative trends during those same months a year earlier. April showed the weakest results (+2%) following the closure of European airspace due to the Icelandic volcano's ash cloud. Although recovery is still lagging in parts of Europe and the Americas, many destinations are already showing real growth and setting new records. Asia and the Pacific has once again shown resilience and a strong capacity for recovery. The region was caught quite early and suddenly by the economic crisis but was also the first to show signs of recovery, posting an impressive 14% growth in international arrivals through August 2010. Compared with the pre-crisis year of 2008, the region has already gained an extra 10 million international tourist arrivals. Most destinations have registered double-digit growth rates, many even above 20%. Growth was also strong in the Middle East (+16%), although this was on a very depressed first eight months in 2009. Africa (+9%), the only region to show growth in 2009, maintained the momentum, further helped by the worldwide publicity created by the FIFA World Football Cup hosted by South Africa. In the Americas (+8%), growth has been strong in North and Central America (+9% each). South America (+7%) is on a par with the worldwide average, while the Caribbean (+3%) is showing a lower rate of growth. Europe (+3%) is recovering at a slower pace, due to the uneven economic recovery and the impact of the volcanic ash cloud in April. However, most destinations reported positive figures for the period May to August, in particular in Western Europe (+4%), Central and Eastern Europe (+4%) and Southern and Mediterranean Europe (+2%). Northern Europe (-3%) is the only sub-region in the world still registering negative results, pulling the average of the region down. As on previous occasions, such as after the 9/11 attacks in 2001 and the 2003 SARS outbreak, tourism has again confirmed a strong capacity for recovery. Following a decline of 4% in international tourist arrivals in 2009, the sector is showing real growth and is expected to beat previous records by the end of 2010. "These results reinforce the message that we have been underscoring since the outbreak of the global crisis at the end of 2008 - that tourism is one of the most dynamic economic sectors and a key driver in creating much needed growth and employment," said UNWTO Secretary-General, Taleb Rifai, presenting these figures during the UNWTO Ministers' Summit at the World Travel Market (London, UK). "Tourism has been seriously impacted by the global crisis, but less than other export sectors, and is currently rebounding faster and more robustly. We call upon governments worldwide, as well as multilateral forums such as the G-20, to place tourism higher on their agendas as the sector can contribute to our common objectives of sustaining recovery, regaining jobs and promoting sustainable development," he added. As previously stressed by UNWTO, risk factors which can negatively impact the pace of recovery remain in many advanced economies, notably budget constraints to balance public deficits in main source markets and the central issue of unemployment. Just recently, the International Labour Organization (ILO) warned that the job crisis is set to continue through 2015. The latest figures presented by UNWTO highlight tourism as one of the most promising sectors to contribute to the unemployment challenge, considering that job creation in tourism tends to outgrow that of other sectors. "In spite of tourism's proven contribution to the economy," Mr. Rifai recalled "there has been an increased temptation to introduce and increase taxation on travel, particularly on air transport. These impediments seriously affect our capacity to generate jobs and stimulate economic growth, namely through export earnings that are crucial to a stable economic recovery." The positive trend during 2010 is reflected in the steady rise of the UNWTO Tourism Confidence Index. A clear majority of the members of the UNWTO Panel of Experts evaluated the past eight months of 2010 as "better" or "much better". The rating of prospects for the period September-December has also further improved, and is up for the fifth consecutive period from the deep trough a year ago. So far the rebound in arrival numbers has turned out to be stronger than initially anticipated. The 50 countries that already have reported September data, together with the air transport data, clearly point to another sound month. For the last quarter of the year the pace of growth is expected to slow down, as it compares with an already positive last quarter of 2009. Based on the current trend, international tourist arrivals are projected to increase in the range of 5%-6% for the full year of 2010, thus exceeding 2009's total by up to 50 million, and even improving on the record, pre-crisis 2008 count by up to 10 million. First estimates for 2011 point to an increase in international tourist arrivals worldwide in the range of 4% to 5%. International tourism receipts continue to lag somewhat behind arrivals in many destinations, as is generally the trend in recovery periods. The same trend is observed in tourism expenditure from the major source markets. Among the top ten markets, in terms of expenditure abroad, positive but modest increases came from traditional source markets, particularly from Germany (+1.5%), the USA (+2.5%), France (+2%), Italy (+3%) and Japan (+8%). As in recent years, emerging economies are driving the market's growth and showing strong increases in tourism expenditure abroad, most notably China (+22%), the Russia Federation (+26%) and Brazil (+54%). Mr Hinchliffe said the group would provide regular reports to the State Government throughout these discussions, as the construction industry works towards the Federal Government's target of incorporating universal design features in all new homes by 2020. "We are inviting the relevant stakeholders, organisations and agencies to participate in this new advisory group," he said. "I look forward to receiving the feedback of the advisory group as we work on the development of universal housing design plans and features in buildings, without the need for specialised, costly design." A universal design feature is a component of a house or property that can be used by everyone, regardless of a person's level of ability or disability. "The concept simply means easy living features that make homes more accessible and safer for everyone to use, including seniors, people living with a disability, people with temporary injuries or even families with young children," Mr Hinchliffe said. "The intent behind it is to make new housing more usable, by more people and comes at little or no extra costif incorporated at the initial design and construction stage." be designed to anticipate and respond to the changing needs of home occupants. Practical examples include a continuous path of travel from the street entrance and/or parking area to a dwelling entrance that is level, at least one level entrance into the dwelling, a toilet on the entry level that provides easy access and shower and bath grabrails. "The Federal Government has committed to adopting voluntary guidelines to promote universal housing design principles, with the headline goal being for all new homes to incorporate these design features by 2020," Mr Hinchliffe said. "The new taskforce I have established today will report to the existing Building Industry Consultative Group on industry's progress on meeting its voluntary goals." As it progresses creatively towards its 50th year, the National Institute of Design, Ahmedabad, has its eyes on new streams such as universal, sustainable and services design. The institute is not only set to introduce a two-year certificate programme in photography, it is looking at other challenging and emerging fields such as universal design (designing for the benefit of the old and the physically challenged) and sustainable design. "We plan to set up a universal design research chair. Services design (design for hotels, railways etc) is another area we are investigating through the research activities route," reveals Pradyumna Vyas, director, NID, Ahmedabad. The Jamsetji Tata-NID Universal Design Research Chair is already in place for research in the areas of design for the elderly, for rural health and digital inclusion, for children with learning disabilities, barrier free access and environmental design. Abir Mullick, an NID alumnus and faculty at the School of Industrial Design, Georgia Institute of Technology, US, has already joined as a Fulbright scholar under the chair. For students at NID, the institute offers a cross-disciplinary approach to learning. "There's a lot of room to experiment with other disciplines. There's something to be learnt from everybody. Everybody's work inspires you and helps you come out with more ideas," points out Raj Sekaran, a final year student of apparel design and merchandising. Sekaran took up the course on the advice of an NID alumnus, an industrial designer working with Hero cycles. "The course allows me to experiment with other disciplines such as graphics, visuals, product design and even art," says Sekaran. Programmes: NID offers professional education programmes at the undergraduate and postgraduate levels with five faculty streams and 17 diverse design domains. The four-year graduate diploma programme in design (GDPD) is open to students after Class 12 or equivalent such as AISSCE/IB/ICSE. The programme is offered in the following areas: Industrial design (product design, furniture and interior design, ceramic and glass design), communication design (graphic design, animation film design, film and video communication, exhibition design), textile, apparel and lifestyle design. The two- to two-and-a-half year postgraduate diploma programme in design (PGDPD) is for graduates from the fields of architecture, technology, engineering, fine and applied arts, information technology and computer sciences. The yearly expenses for the GDPD work out to R2,10,800 and for the PGDPD course it is R2,55,800. Extracurricular: The institute organises a 'culture day' once a year wherein students from across India showcase the culture of their states. RGB is the design festival that brings together over 1400 creative young minds of the country. Students from India's foremost institutes come together for a three-and-a-half day exchange of ideas and experiences. RGB provides a platform for inter-college networking through exhibitions and competitive events. In addition to this it hosts a unique series of workshops and interactive sessions with professionals and experts in the fields of design and design education. Infrastructure: The main campus is located in Ahmedabad. The postgraduate campus in Gandhinagar offers courses in transportation and automobile design, toy and game design etc. The R & D campus is located at Bengaluru. It offers courses in information and interface design, design for digital experience etc. This first ever WFD Congress in Africa will held in Durban, South Africa 18 - 24 July 2011.
and improving human rights of Deaf people in Africa and around the world. the Convention on Rights of Persons with Disabilities. Each cottage vacation for people who have sustained an acquired brain injury is designed to support individual needs in a relaxed setting. The costs include accommodation, meals and snacks, and activities and use of facilities and equipment. Safety on site is addressed through 24-hour staff support, including awake overnight staff. Participants enjoy a low staff-client ratio while still reaping the benefits of a cost-effective small group model. Staff who are highly trained in the field of acquired brain injury, are excited to be part of the group, and who have personal cottage experience, provide staff support. Additional safety measures such as locked medication, close access to medical and emergency facilities, and absence of motorized watercraft on site mean that families can rest easy knowing that their loved one is going to be able to enjoy themselves without undue risk. improvements to GGNRA park areas. will be on display for comments. Read summary documents online prior to the meeting. (415) 561-4711, (TTY) 415 561-4724 for further questions. Moscow, Russia, hosted the first conference for the implementation of an awareness programme for the Sochi 2014 Paralympic Winter Games. The theme of the conference, organized by the Sochi 2014 Organizing Committee and the Russian International Olympic University (RIOU), was "National Programme to raise awareness of the Russian Federation citizens on the Paralympic Games and Paralympic values 2011 - 2014: Issues and Challenges". The President of the Sochi 2014 Organizing Committee, Dmitry Chernyshenko and the vice president of the Russian Paralympic Committee (RCC), Anatoly Tsarik attended the conference as speakers. disability participated in the event together with Sochi 2014 Olympic partners and ambassadors, including Paralympic champions, Olesya Vladykina and Sergey Shilov. The participants shared their views on what is needed to raise awareness within the Russian society of the Paralympic Games and Paralympic values, to create a barrier-free environment in the city of Sochi and then to transfer the knowledge and experience to other regions of Russia. The results of video-interviews with the residents of Sochi were also presented at the conference. The interviews were conducted by Sochi 2014 volunteers and by participants of the multimedia project, "Sochi Reporter" within the framework of the "Sochi without barriers" plan. Amongst others, owners of city restaurants, cafes, museums and other public facilities took part in the survey. The results showed that the participants had a limited level of awareness of the Paralympic themes and ethics of communication with people with a disability. However, the majority of respondents admitted the need for a barrier-free environment to be created in Sochi through the introduction of special equipment for people with a disability in public areas around the city. "What we do to raise social awareness of this issue and to encourage young people to promote Paralympic values is being one of the most important elements within this program. "During the preparation for the 2014 Games in Sochi, we are not only drawing attention to the Paralympic theme, but also attempting to shift society's perceptions of people living with disabilities in our country as a whole. Our main task is to change the attitude of Russian society to the group of more than 13 million Russians who currently live with disabilities. "The Paralympic Winter Games in Sochi will provide a unique opportunity to learn lessons from the world experience to achieve the further integration of people with disabilities into Russian society." The conference in Moscow was the first in a series of similar events scheduled to be held by the end of 2010. It is anticipated that their outcomes will lead to a detailed plan being formulated for a comprehensive programme to increase public awareness of the Russian Federation on the Paralympic Games and Paralympic values, scheduled to start in February 2011. For more information on the Sochi 2014 Paralympic Winter Games, please visit www.sochi2014.com. This whole trip strengthened me in so many ways. Over the past few months, I really felt like I had reached the end of the line, an unemployable, physically defunct, onlooker of life. It has done me the world of good, to know that I can still do trips like this. All is not lost! On October 8 joined by disability-rights advocates and tech industry representatives, President Obama signed into law the 21st Century Communications and Video Accessibility Act. The legislation requires smart phones, television programs and other modern communications technologies to be accessible to people with vision or hearing loss. "This law is life-changing for the millions of us with disabilities who are too often unable to take advantage of new technologies," said Paul Schroeder, Vice President of Programs & Policy at the American Foundation for the Blind (AFB). "It opens the door to the digital age, and gives Americans with visual or hearing impairments equal access to smart phones, emergency broadcast information, the menus and controls on televisions and cable TV guides, and much more." Signed into law during National Disability Employment Awareness Month, this legislation is expected to create more opportunities in the work place, the classroom, and everyday life. "It will help Americans with disabilities work more productively, respond to emergencies more effectively, and participate even more in society and culture," said Mark Richert, Director of Public Policy at AFB and a principal negotiator with the communications and TV industries. "This law builds on the spirit of the Americans with Disabilities Act and ensures people with disabilities can fully participate in the 21st century," said Carl R. Augusto, AFB's President & CEO. "We applaud the many advocates and lawmakers who fought tirelessly to make this law a reality." Mandates mobile phone companies to make web browsers, text messaging, and e-mail on smart phones fully accessible. Restores and expands requirements for video description of television programs, in addition to requiring cable companies to make their program guides and selection menus accessible to people with vision loss. Ensures people with vision loss have access to emergency broadcast information. Provides $10 million in funding each year for assistive technology for deaf-blind individuals. Ensures that Internet-enabled mobile phones are hearing aid compatible. The 21st Century Communications and Video Accessibility Act passed Congress with bipartisan support. A number of members played a key role in moving the legislation forward. In the U.S. Senate, the bill was championed by Senator Pryor (D-AR), with the support of Senator Kerry (D-MA), Senator Rockefeller (D-WV), Senator Hutchison (R-TX), and Senator Ensign (R-NV). In the U.S. House, it was championed by Rep. Ed Markey (D-MA), with the support of Rep. Henry Waxman (D-CA), Rep. Rick Boucher (D-VA), Rep. Joe Barton (R-TX), and Rep. Cliff Stearns (R-FL). The April 2011 issue of Design for All India will explore the issues covered in Article 30 of the UN Convention on the Rights of Persons with Disabilities - leisure activities such as play, sports, and travel. Scott Rains will edit this issue. Kanic's Inclusive Play Symposium and works such as Simon Darcy's book Benchmark Games. In this issue we are looking to highlight new voices with new solutions. Design for All India features articles that apply Universal Design to concrete design problems whether that is in relation to products, space, or policies. Successful submissions will be stories of projects or work-in-progress around the world, detailed descriptions of products designed to be usable by the broadest range of people under the widest circumstances, and case studies documenting the human impact of the adoption of Universal Design in leisure activities. Examine the text of Article 30 below to develop an article idea to submit. Article proposals are due December 15, 2010. Send the to Scott Rains - srains@oco.net. Articles are due January 15, 2011. Photos and explanatory graphics are encouraged in this digital publication. What is the role of play in human development? In leisure throughout the lifespan? 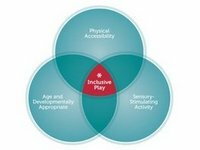 What products, environments, or policies exist to enable play as a path in the development or post-disability rehabilitation of persons with disabilities? What can be learned from major sporting events about the inclusion of persons with disabilities both as athletes and spectators? What have been the impacts of accessible infrastructure and inclusive business practice legacies in areas where major sporting events have taken place? Are there inclusive design practices used in museums, libraries or theaters that have applicability in other settings? In parks, botanical gardens, historical or environmental patrimony sites? Has the application of Universal Design by the travel and hospitality industry revealed new positive consequences to Universal Design? Shortcomings in its formulation, articulation, or practice? How applicable are these US Access Board's ADA Accessibility Guidelines standards in other countries? It is important to remember that there is so much to see in Paris, and unless you are there for weeks and weeks, you can't see everything. While the museums and landmarks are beautiful and important, I would also set aside time to see some of the individual neighborhoods in Paris - the real Paris. To start with museums and landmarks, here are some suggestions! 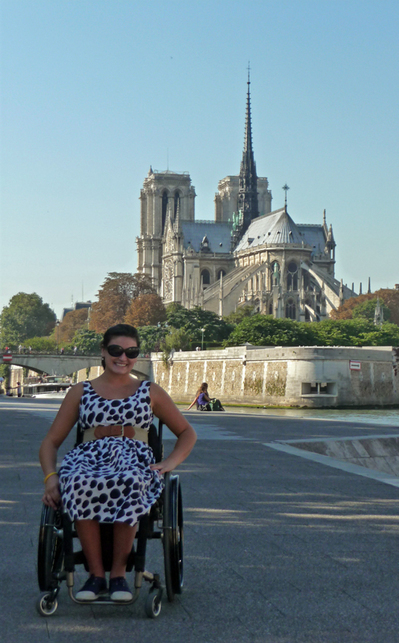 Tip: being a tourist in Europe in a wheelchair can often serve to your advantage. In most museums you get in free along with a companion, so while going to the Louvre might be crowded and overwhelming, you can go as often as you want and skip the line, for free! Louvre: the Louvre is a beautiful museum. It was the old residence of Louis XIV and it has been converted to hold one of the largest art collections in the world. Home of the Mona Lisa, among many other famous pieces of art, the Louvre seems to be a must see while in Paris. My advice would be that if you are a big museum person, take an afternoon and explore your favorite period. Like I mentioned above, the Louvre is very crowded and huge, so if you get impatient, maybe take an hour to check out the Mona Lisa or a special exhibit, but the museum can get overwhelming fast. In terms of accessibility, the Louvre gets an A+ in my opinion! Musee d'Orsay: This has to be one of my favorite museums, and honestly I prefer it over the Louvre. Renovated from an old train station, the museum is home to one of the largest impressionist galleries, and if you have a limited time, take the elevator straight to the 5th floor to immerse yourself in Degas, Manet, and Toulouse-Leutrec. They also receive an A+ for their accessibility. Père la Chaise Cemetery: Edith Piaf, Jim Morrison and Oscar Wilde all call this home, and while the disorganization and the fame is attractive, the cemetery really can't be done without a significant amount of help. The path is all cobblestones, there are often dead ends with stairs, and the graves are all on top of each other so you might want to see one, but it is in the middle of hundreds of other graves. I've been, so it can be done, but if I were to officially rate it, it would get some sort of extreme warning. Eiffel Tower: The symbol of Paris. The Eiffel Tower has a beautiful view and there is an accessible elevator that takes you to the first and second levels, but the third level is not open to tourists in wheelchairs. When you go, take note of this so you aren't surprised when you get there. Also be prepared to wait, for a long time. Champs élysées: This stretch from Place de Concord to Arc de Triomphe contains some of the best shopping in Paris. It's a beautiful walk in the Spring, but there isn't anything you absolutely have to see. Because this is only a huge road, there are sidewalks and curb cutouts. Notre Dame: This beautiful church is located on a small island in the middle of the city. It is very accessible, and free. If you are in Paris around Christmas, or soon after, the tree outside of the church is decorated and it feels very much like the holidays! Montmartre/Sacre Coeur: Hmm this one is tricky. Seeing the church from any point in Paris is beautiful, especially at night when the Sacre Coeur is all lit up. Going inside the church can definitely be a hassle. To get up to the church there is an accessible tram that will take you to the top of the hill. Once you get to the top of the hill, there is a huge set of stairs that can only be avoided by going all the way around the hill up a cobblestone street. There is a small lift in the back entrance, and there is a side door that will bring you to the main part of the church. As you can see, it's not easy. My recommendation would be to just explore the Montmartre area, and go up the tram to take a few photos of the church. If you really want to see inside the church, I would call ahead, or if you are with others, to either bump up as many stairs as you can, or have someone call ahead, or go into the church to explain your situation. Seeing the sites is a must in Paris, but the beauty of going to a huge city, is finding the unique neighborhoods that give the city its character. One of my favorite places in Paris is the Marias district and the Jewish Quarter. Located in the 3rd arrondissement, Rue to Rosiers is most definitely one of the most interesting neighborhoods, filled with character, not to mention incredible food. While most places are not accessible, there are a couple places you can order falafel from the window, without even needing to go inside. If you don't mind a couple stairs, l'As du Falafel is worth the wait, and while the atmosphere is crowded, the bathroom is accessible! The streets in these areas are cobblestone, and the deli's have stairs, but even just taking a short stroll down the street is a nice detour as you wander around the area. There is a small grocery store that is accessible there and full of different kinds of desserts, wine's and goods - check out Chez Marianne. Not too far from Rue de Rosiers, is Place des Vosges. Place des Vosges is the first place I fell in love with Paris the first time I traveled there when I was 14. It is a very small square surrounded by art galleries and small cafes. In the middle is a small park and garden, and on the corner is the former home of writer and famous Parisian Victor Hugo. Place des Vosges is a beautiful place to sit for a while and take a break while grabbing a cup of coffee, tea, or hot chocolate in one of the outdoor cafes. Tip: the nice thing about Paris is that there is a ton of outdoor dining, so even if the restaurant or café isn't accessible, there is the option to sit outside. Too cold? These cafes are almost always surrounded by outdoor heaters for people to enjoy the view and more importantly, les cigarettes. Chartier: (7 Rue faubourg Montmartre) located in the 9th, by the Grands Boulevards metro station, Chartier is truly French. The table cloths are paper, and the waiters write your order on the edge, the fast paced restaurant is located in an old library and has dozens of tables. Be prepared to wait in line! If you decide to go on the earlier side, around 6 or so, it might be shorter. For those of you who like late dinners, the restaurant closes at 10, beware. This is also a vegetarian's nightmare, but if you are looking for a classic steak frites, this is your place. Not to mention, a very nice staff to help you open the side door for a stair-free entrance! L'Ecurie: (58 Rue de la Montagne Ste-Genèvive). Founded in the 16th or 17th century, this old restaurant is tucked away in the Latin Quarter, at the end of Rue de Moufftard. Inside there is one step, but you can eat outside with a lovely view of the Sorbonne and the neighboring restaurants. César: (81, Boulevard Saint Marcel). Italian in France? Paris is a great place to discover not only French food, but international food as well. If you are craving pizza or pasta, my recommendation would be to eat outside at César for both incredible Italian food and wonderful service. In the mood for some dessert? Something to go with your afternoon tea? Angelina: (226 Rue de Rivoli ) It's time to channel Chanel. This tearoom across the street from the Tuleries Gardens is the perfect place for afternoon tea or a morning hot chocolate. Their hot chocolate is said to be one of the best in the world - don't forget to ask for the whipped cream! The tables are a bit awkward, but there is only a tiny lip to get into the street-level restaurant so it is very easy to get in and out of. Berthillon: (31, Rue St. Louis en l'Ile) Incredible homemade French ice cream? Yes please. Open year round, this ice cream shop is definitely not to miss. Located behind the Notre Dame it is a perfect excuse to stop and take in the views of the bridge. (http://www.berthillon.fr/). If the line is too long, check out Rue de Deux Points, there are many other small shops and restaurants that are accessible and sell the ice cream. That is a lot to do in one weekend, but it should keep you busy! For additional information, David Leobitz's blog about Paris has an extremely helpful link http://www.davidlebovitz.com/2008/02/accessible-trav/ and for French speakers, be sure to visit www.jaccede.com. [*] Note: All of these suggestions are based purely on experience - I am by no means an expert and the term 'accessible' is not an official term. * If you ever are planning to have an adventure in Venice, the HI hostel located there is excellent! Before you go, you might want to visit some websites regarding French accessibility. Much like the United States, France has a long way to go, but their commitment to tourists with disabilities is improving slowly but surely. Even though when I first think of traveling to Paris, I immediately think of food, but in case you want to start with where to stay and how to get there, here are some suggestions. To get to Paris I would recommend American Airlines, Air France, or British Airways. I have had the most experience with Air France and they are always very pleasant and helpful. I would stay away from SwissAir unless you have traveled with them before. I was denied boarding from them on a flight from Boston to Zurich to Istanbul about a year ago, and they were not helpful in the least. I would also fly into Charles de Gaulle (CDG), which is the most common. If you are flying into Orly airport, there is an Air France bus that takes you to Gare Montparnasse (between the 14th and 15th) and has accessible buses. Beauvais Airport is really out of the way, so I would say try and avoid that airport when first arriving. There is a metro train that runs from CDG into Paris, but the metro is a nightmare for a wheelchair, so your best bet is to splurge for a cab to take you to wherever you are staying. One of my first tips would be to always contact the hostel or hotel before you book. Hostels are usually extremely accommodating, especially if they know you are coming way in advance. I have great experience with and would recommend Oops! hostel in the Latin Quarter of Paris (www.oops-paris.com) if you email them, they will give you instructions on how to book and note that you need accommodation. Any Hostelling International (HI) hostels are wonderful too. * MIJE is a great affordable hostel as well (www.mije.com/index_individuels_uk.asp). The one hesitancy is getting into the hostel, if you are by yourself. There are huge doors that take some effort and there is a slight cobblestone hill. That being said they have an accessible room on the first floor and are accommodating. You also aren't able to make a reservation until a little over a month before, so if this is a trip planned far in advance, they may not let you book until later. If you want to completely splurge, the hotels along the Rue de Rivoli (across the street from the Louvre) are wonderful, and the staffs are always extremely helpful, especially at the Westin. The marais district is also a very popular place to look for hotels. I don't have much experience with hotels because I'm always traveling on a budget, but again, I encourage you to talk to someone directly before you book your stay. Once you have arrived, settled in, and taken your post-flight mid morning nap (because let's face it, you didn't sleep on the plane ride), it is time to get out and start exploring. Paris is an extremely walkable city - especially for those of us on wheels. While you might get a little tired, the sidewalks and curb cutouts are the norm, and it is rare you will run into trouble. If you do want to take public transportation, forget the metro. There are some accessible stations, but all in all the metro is the oldest in Europe and the least accessible. If you don't mind a little bit of a ride, and if you aren't in a hurry, the buses in Paris serve as an excellent alternative. I love the bus. I love being able to just hop on and stare out the window for a few minutes - it's almost like a free tour of the city! Most buses have ramps, and the bus drivers are usually very nice. Tip: most drivers do not speak English, so as long as you know your destination/stop you don't need to be fluent. In case you want to get somewhere quicker, hiring a taxi is the way to go. You can't hail a cab, so here is a phone number and link to an accessible taxi service that is very helpful: 01 47 39 00 91.Visit the website (http://www.taxisg7.fr/) to find out more information about how the accessible taxis work. If you are staying in a hotel, usually they will hail a cab for you - but if you are on a budget, buses are definitely the way to go! Richard Hoffman of Specialty Builders Remodeling recently was awarded a Universal Design Certified Remodeler designation from the National Association of the Remodeling Industry (NARI). Hoffman is Atlanta's first Universal Design Certified Remodeler (UDCR) and Certified Aging in Place Specialist. He is also the only remodeler in the state of Georgia to have been awarded this designation. As the adult population grows older, the housing industry is recognizing the importance of a "universal" approach to residential design that modifies standard building elements to improve a home's accessibility, usability, and value. My goal is to be a resource to the whole disability community in the Triangle and to develop a network of other specialized Realtors everywhere so I can refer you to someone who can help you find an accessible home in your area. Universal Design is at its best when its concepts are incorporated as an essential part of good design, including creative, aesthetic, imaginative, functional, and compassionate solutions that respect the human condition throughout a life time and range of abilities, and in a way that encourages interaction among people of all ages and capabilities. The ability to design spaces that can be used by more types of people including adults and children with disabilities, those who are aging, is essential for success in today's marketplace. De 1o a 4 de novembro, quatro sess?es no CineSesc contar?o com o recurso da audiodescri??o. Iniciativa é fruto de parceria entre os organizadores da Mostra e a Secretaria Municipal da Pessoa com Deficiência e Mobilidade Reduzida . Pela primeira vez, a Mostra Internacional de Cinema de S?o Paulo dará ao público com deficiência visual a oportunidade de ter acesso ao conteúdo dos filmes em exibi??o. Neste ano, quatro sess?es do CineSesc ser?o apresentadas com audiodescri??o. Um recurso que n?o costuma ser oferecido em grandes festivais de cinema do mundo. Os filmes ser?o exibidos em sess?es regulares, com 50 pontos de audiodescri? ?o disponíveis. Na audiodescri? ?o, um profissional especializado descreve à pessoa cega, por meio de fones de ouvido, as principais informa? ?es visuais do filme, permitindo que este espectador participe da experiência cinematográfica da melhor maneira possível. No caso de filmes legendados, o audiodescritor também faz a leitura dos diálogos. Marcos Belizário, secretário Municipal da Pessoa com Deficiência e Mobilidade Reduzida, diz que o objetivo da parceria é popularizar a utiliza? ?o de ferramentas de inclus?o e acesso aos bens culturais, como a tradu? ?o em Libras (para surdos), livros em braile, softwares leitores de telas e a própria audiodescri??o. "A Mostra Internacional de Cinema é um dos principais eventos culturais da cidade e para nós é muito importante que ela se preocupe em incluir o público com deficiência". ARCADIA LOST, de Phedon Papamichael (90'). GRéCIA. Indicado para 14 anos. PROGRAMA AXN (148'). Indicado para 18 anos. O PARAíSO ELéTRICO, de Michael Busch (208'). ALEMANHA. Livre. UM HOMEM QUE GRITA, de Mahamat Saleh Haroun (92'). FRAN?A, BéLGICA, CHADE. Indicado para: 12 anos.